Many humans have a habit of biting their nails. We two-legged folks may chew our nails down to nubs when anxious, nervous, or bored. Well, did you know canines exhibit this behavior too? Unlike humans, nail biting and paw licking in dogs is typically due to something physical rather than emotional. While a few licks to clean wet or dirty paws is completely normal, excessive and repeated biting, chewing, or licking is cause for concern. So if your dogs is repeatedly and persistently licking her paws or chewing her nails, it may be a sign that something’s wrong. Unfortunately, humans have yet to master the canine language. Until then, it is important that doting doggy parents are aware of unusual behavior like excessive paw licking/chewing that may indicate your dog is suffering from a physical ailment. Why Do Dogs Chew Their Nails And Lick Their Paws? So why is your dog biting his nails more rabidly than a second grader in a school play? Let’s take a look at some of the possible reasons! 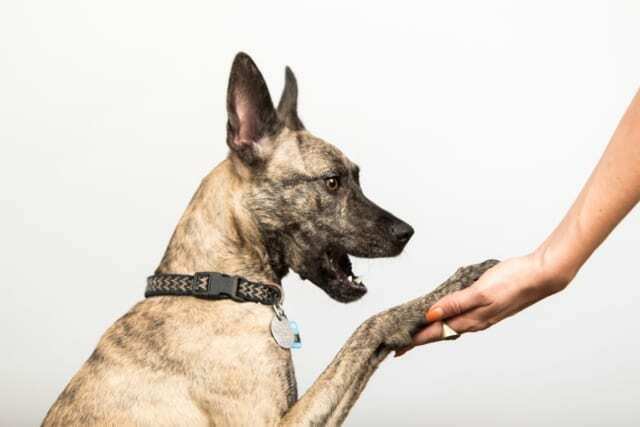 Well, there are many reasons dogs engage in nail biting or paw licking. Sometimes dogs chew their nails to manage nail length. It would surely be difficult to use a nail clipper with no opposable thumbs! Like human nails, canine nails grow continuously. If grown too long, nails can begin to curl under which can cause pain and discomfort. Furthermore, long nails are more likely to become brittle, crack, or break. Broken nails can also be very bothersome to a dog, who may then use nail biting to remedy the issue. Some dogs also chew their nails because of a bacterial or fungal nail infection. Injured nails create an exposed wound that is vulnerable to bacteria. Chewing on an injured nail may lead to infection which, in turn, leads to more chewing. It’s a painful cycle! Additional symptoms of infection include inflammation and “oozing” discharge. Though less common, dogs may also bite their nails to cope with boredom or anxiety. This is “self-soothing” licking and biting. Nail chewing may also be a secondary behavior to paw licking and biting. For instance, a dog may not initially intend to bite their nails. However, they may be more inclined to chew their nails if they’re already chewing and licking their paws. Atopy (inhalant allergies) is the most common cause for excessive paw licking and nail chewing in dogs. Like in humans, airborne allergens often cause intense itchiness. Dogs then lick and chew their paws to relieve the atopy itchies. Dogs may also engage in nail biting while trying to cope with itch-inducing allergies. These behaviors can also be triggered by other allergic reactions, such as those from food allergies. Additional symptoms of allergic reactions include swollen and red skin, itchy and watery eyes, respiratory issues, and a runny nose. Your dog may also lick or chew their paw due to pain from arthritis or an injury. Dogs will often bite and lick the site of a puncture wound or splinter. For instance, your pup could step on a loose nail or get a thorn lodged between their toes. Other foreign objects that often make their way in pup’s paw pads are ticks, grass awns, and burrs. Remedies for chewing and licking paws and nails relate directly to the behavior’s underlying cause. Most cases of excessive licking and chewing can be remedied at home. However, veterinary help is sometimes necessary. If your dog is bothered by long nails, you can help by regularly trimming their claws. That means give your pup the pawdicure they deserve! 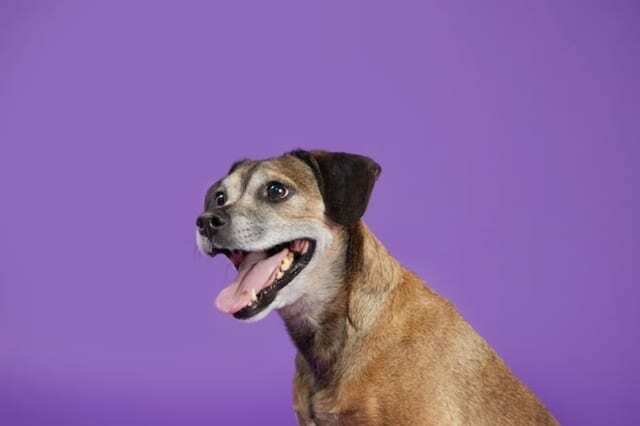 The frequency with which your dog’s nails need to be trimmed depends on a variety of factors, such as how frequently your dog walks or runs around, whether your dog spends more time indoors or outdoors, your dog’s nutrition, and certain health conditions. A general rule-of-thumb is that your dog’s nails should not be touching the ground while standing. Cutting canine nails is not always a walk in the park, especially if your dog has dark nails, heightened anxiety, or bone and joint pain. Your veterinarian or groomer can show you how to properly clip your pup’s claws. You may even opt for your groomer to give your pup regular pawdicures. 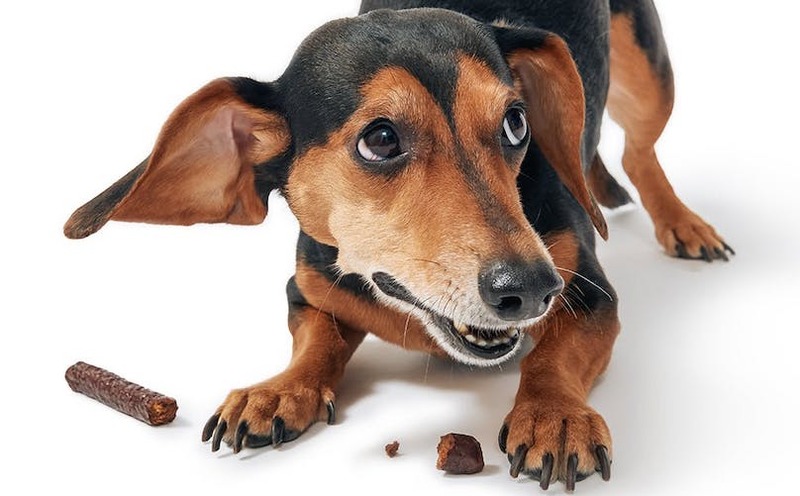 If your dog’s chewing behavior may be caused by an injury, thoroughly check their paw pads, toes, and the webbing between the toes for foreign objects or wounds. Due to the bacteria in dog’s saliva, licking may expose the wound to infection-inducing bacteria. Thus, it is important to clean any wounds, apply antibiotic ointment, and perhaps wrap the paw to prevent exacerbation of the injury. If symptoms worsen it’s time to visit your veterinarian. Infections are treated with topical and oral antibiotics or anti-fungal medications that are prescribed by veterinarians. 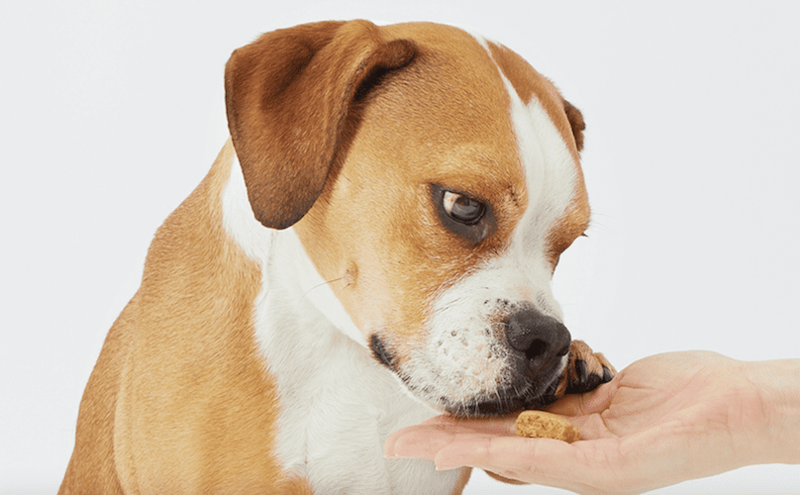 If your dog’s excessive chewing and licking may be due to allergies then it is important to manage your pup’s allergies. This may include cutting certain foods from your dog’s diet, avoiding environments where certain allergens are present, or using medication. If you’re unsure whether your dog has allergies or if you need help in managing your dog’s allergies, consult your local veterinarian. Time For A Vet Visit! If you’re totally stumped on why your dog is persistently chewing her nails or biting her paw a veterinarian can help determine the underlying cause. 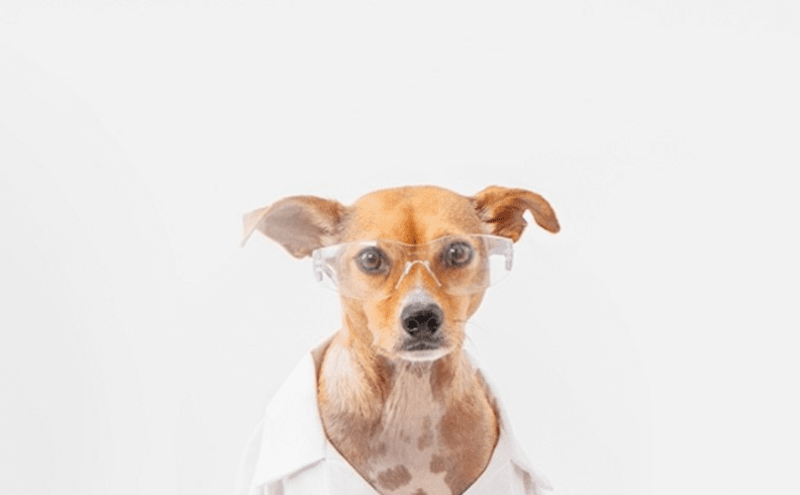 The veterinarian will perform a physical examination in which your dog’s overall condition will be evaluated and paws will be examined for foreign objects. If needed, your veterinarian can perform additional tests to determine the specificities of any present food allergies, environmental allergies, or infections. You may be noticing a common theme about consulting with your veterinarian. This is because excessive nail biting and paw licking may be signs of a condition that needs additional veterinary care. This is especially true if the behavior begins suddenly, continues for long periods of time, or is accompanied by redness, bleeding, inflammation, odor, limping or other possible signs of pain and injury. 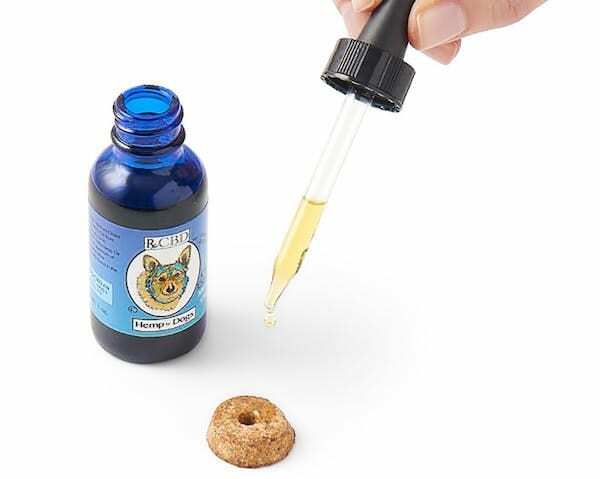 If your dog is licking/chewing their paws as a result of anxiety – and really, you should always visit a vet to determine the reason – there are some supplements (and CBD options) that can help them out. 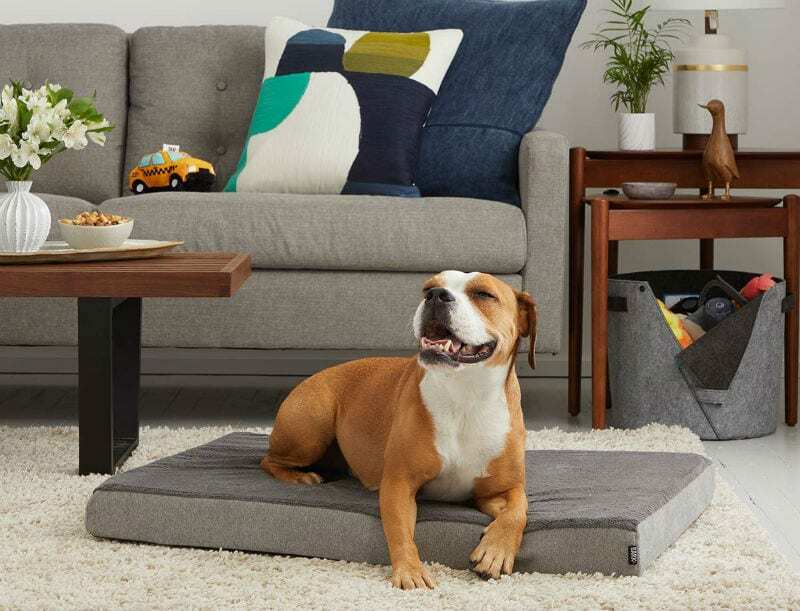 These solutions are really great for solving your pup’s more minor itching issues, but they’re probably not going to help with something more significant. If the itching, licking, and chewing is really intense, again, the best thing to do is to talk to your vet! How Do I Help My Dog’s Skin Allergies & Irritation? What Do I Do If My Dog Is Afraid of Car Rides?